SAVE THE DATE- 8th June 2017 Brussels! 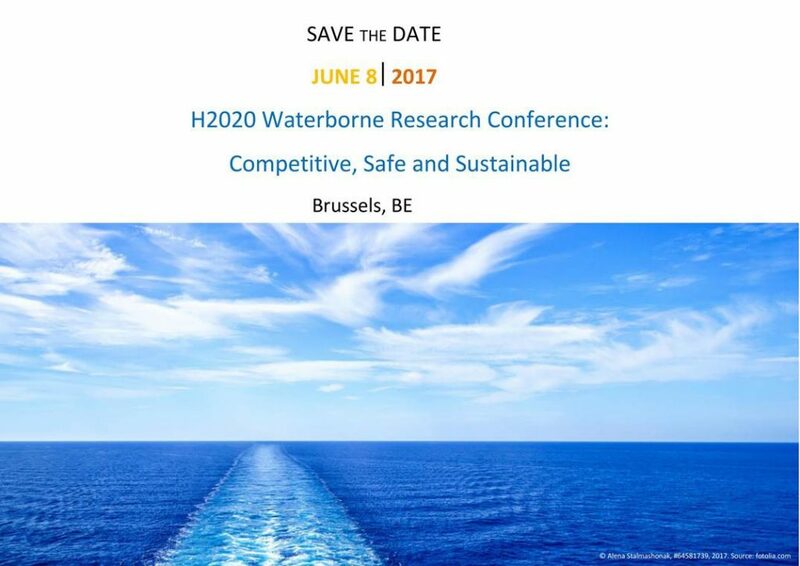 This year on World Oceans day, Thursday 8 June, the European Commission is pleased to announce the H2020 Waterborne Research Conference, that will be held in Brussels . An opening address from high level speakers will be followed by concise presentations of the Waterborne transport research that have been supported so far by Horizon 2020, within “Mobility for Growth”. The researchers will discuss and respond to your questions. This is a unique opportunity to discover these latest developments ,their expected impacts and how their results can be applied. The H2020 Waterborne transport research team.